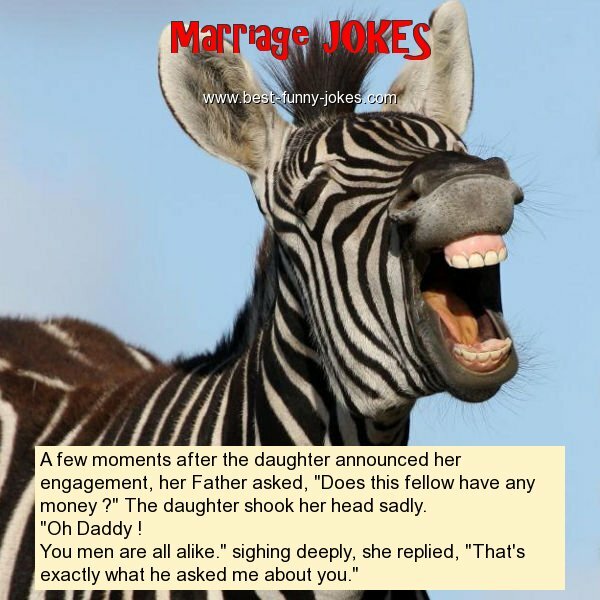 A few moments after the daughter announced her engagement, her Father asked, "Does this fellow have any money ?" The daughter shook her head sadly. You men are all alike." sighing deeply, she replied, "That's exactly what he asked me about you."